It looks like one of Garden State’s favorite reality TV stars will be free to stay on the Jersey Shore this summer. 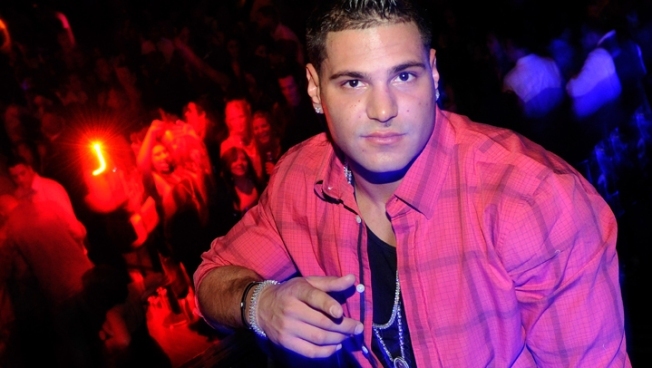 On Monday, Jersey Shore cast member, Ronald “Ronnie” Ortiz, was admitted into a 18-month pretrial intervention program, after facing charges of assault stemming from a September 2009 incident, the Asbury Park Press reports. The charges of assault came during the filming of the first season of MTV’s popular reality show, according to the newspaper. The incident aired during the show’s episode appropiately named, “One Shot”. Television footage showed Ronnie punching Stephen Izzo of Bayville, Ocean County, and laughing afterwards. The program will allow Ronnie to avoid assault charges as long as he completes the necessary community service, and stays out of trouble, according to the Asbury Park Press. It was not clear how much community service Ronnie will be required to perform. An added bonus of the successful day in a Toms River court for Ronnie? He’ll be able to to continue filming Season 5 of Jersey Shore in Seaside Heights. Izzo has a civil suit pending against Ortiz and MTV related to the assault.